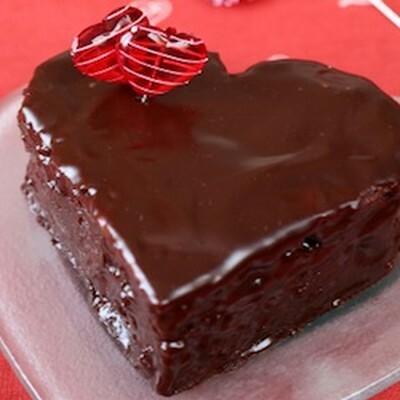 Yummy Valentine's day recipes for toddlers that you can make with the children for the whole family. Chocolate chips, M and Ms, Sprinkles or anything else your heart desires. 1. Put a scoop of ice cream in between two cookies. 2. 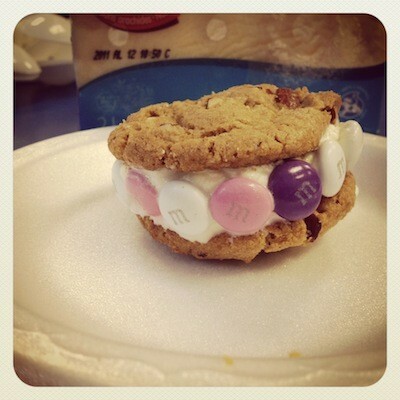 Roll sides of ice cream sandwiches in sprinkles, M and Ms or anything else. 3. Serve or freeze until needed. 2. Sift the flour, baking soda, cocoa powder and salt in a mixing bowl. 4. Gradually add the eggs, mixing well between each addition and scraping down the side of the mixing bowl from time to time. Add the vanilla. 5. At low speed, add the sifted dry ingredients to the mixture, alternating with the buttermilk. Mix until smooth, then add the red food coloring. Add enough so the mixture is deep red. Stir until evenly mixed. 6. Fill the paper cupcake cases till they are two-thirds full. 7. Bake for 20 minutes. Let cool. Add the cream cheese icing on top. 1. 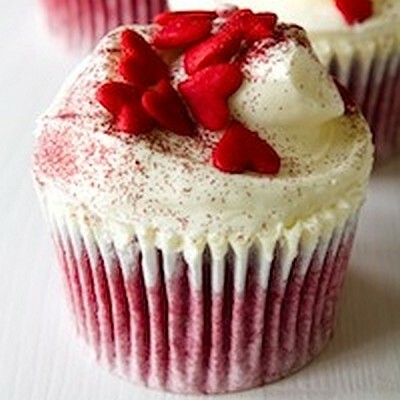 Simply beat the icing ingredients until smooth. 2. Add candy corn and other sweets for decoration. 4. Mix the margarine and sugar in a separate bowl until smooth. 5. Add the vanilla and eggs and keep mixing. 6. Mix into the bowl the dry ingredients and the liquids alternately and stir. 7. Bake for about 35 minutes. Once the cake cools down. Spread this frosting on top. 1. Leave the margarine on the counter until it is soft and easy to work with. 2. In a bowl, mix the icing sugar and margarine together. 3. Add the egg yolk and vanilla extract until the frosting is smooth. 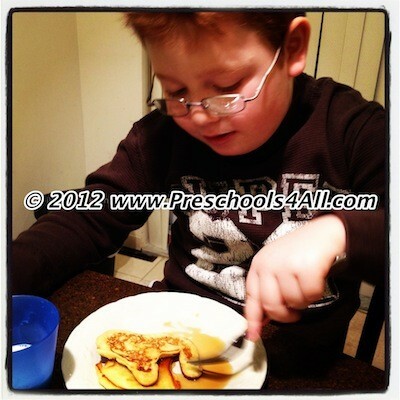 The night before Valentine's Day, read the book Pancakes, Pancakes! by Eric Carle to your children. 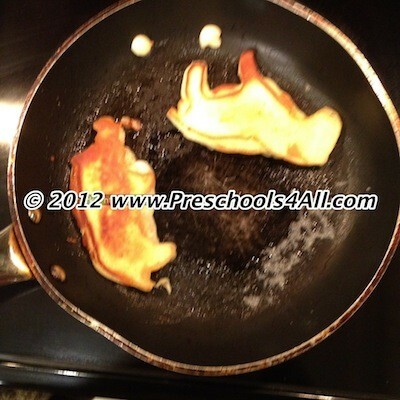 The next morning, have your child help you make the pancakes following the ingredients from the book. 2. In a separate bowl, mix the egg, milk and oil. 3. Slowly add the liquid mixture to the dry mixture and keep mixing it together. 4. Melt some margarine or oil in a pan. 5. Keep the pan at a medium heat. 6. This part is the tricky fun part...Place a METAL cookie cutter (do not use plastic) in the pan and pour some of the pancake mixture into it. 7. 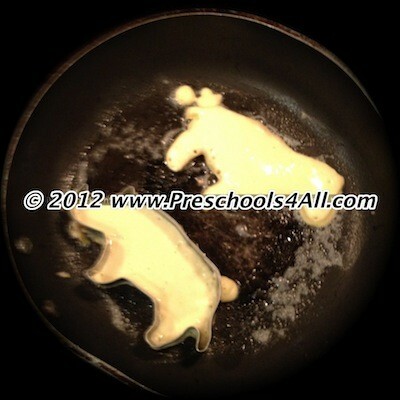 When the pancake looks cooked on the bottom, remove the cookie cutter and flip the pancake to the other side. 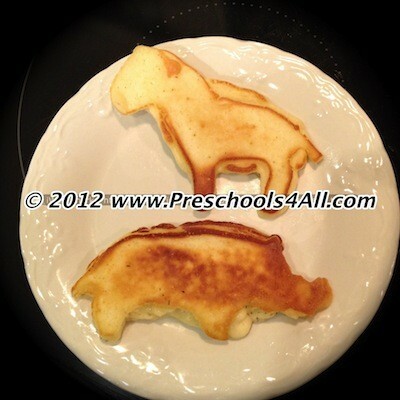 You can also make round pancakes, remove them from the heat and than cut them with cookie cutters on the plate. I've done it both ways and from my experience the second method is safer. I used animal cookie cutters since my boys love them. You might want to consider using these heart shape cookie cutters. Serve with maple syrup and lots of love!